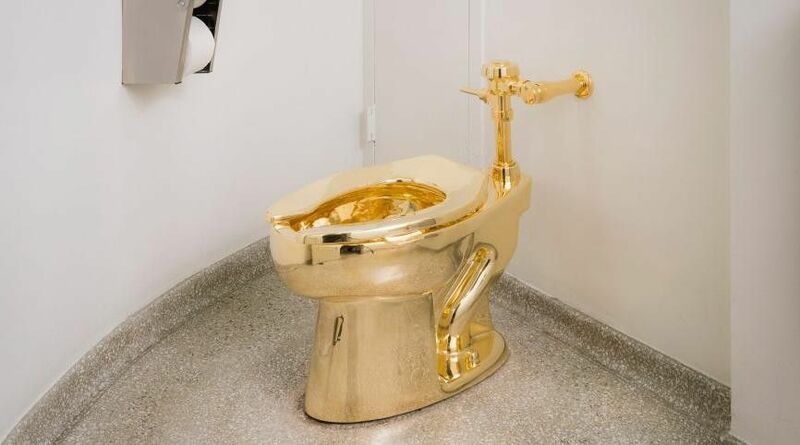 The Guggenheim Unveils 18-Karat Gold Toilet Entitled "America"
New York's Guggenheim museum will unveil its new installation tomorrow, by art world agitator Maurizio Cattelan: an 18-Karat gold toilet called "America" placed in a single bathroom for solo-views (and uses); aside from being art, it's completely functional. "I'm not very good at plumbing," [Cattelan] said, grinning broadly. "What I cared about most was that it be intellectually defensible, and that it engages a big audience in a variety of ideas." Cattelan was avoiding the camera. He kept putting his head around the screened-off area surrounding the rest room, urging people to use the fixture. ("You can be the first!") The toilet is an exact replica of the one that used to be there, but it looks a lot more powerful. What Cattelan seemed to like best was its democratic appeal. "Whatever you eat, a two-hundred-dollar lunch or a two-dollar hot dog, the results are the same, toilet-wise," he said. The first person to use "America"? 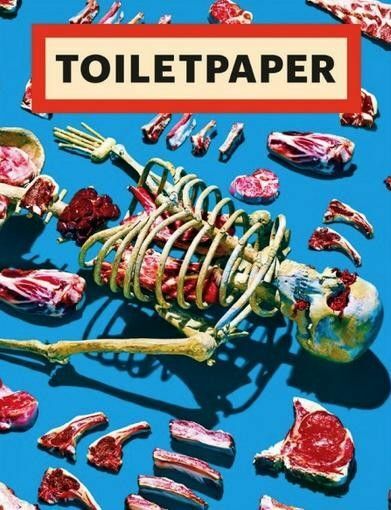 The artist Rirkrit Tiravanija, who told Cattelan, "I actually need it," before disappearing into the bathroom--he seemed satisfied by the experience. Tomkins made sure to ask the museum's director, Nathan Otterson, about how the piece will be maintained. Well, we're changing the cleaning materials we use normally. Someone from our regular cleaning staff will come by every fifteen minutes, and they'll use special wipes, like medical wipes, that don't have any fragrance or color or oxidizers. And we have a steam cleaner that we'll use periodically. The color is going to change, and we'll probably be brightening the toilet up with polish along the way.